Luckily, Keaton pops up from his grave to liven things up when the antics pitting the good ghosts against the intruders become a trite cat & mouse game. Some of the most surprisingly enjoyable viewing in years. [The] actors, not surprisingly, are limited by the stupidity of their material. Not since Ghostbusters have the spirits been so uplifting. 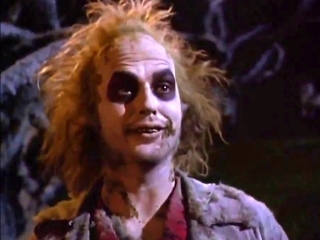 The joy of Beetlejuice is its completely bizarre -- but perfectly realized -- view of the world. The movie is all anticlimax once we realize it's going to be about gimmicks, not characters.